YES, I WANT A DEMO ! DO YOU WANT COMMUNICATIONS CONTINUITY DURING AN EMERGENCY, EVEN IF NETWORKS FAIL ? 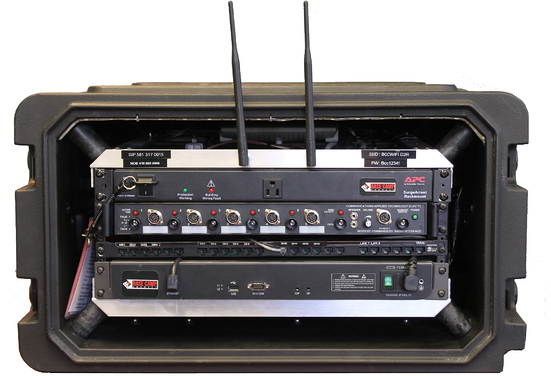 BCC eliminates the risk of loosing communications by interconnecting agencies and their equipment in 5 minutes with a transportable, rugged, plug-and-play box. Interconnect up to 10 radio networks (HF, VHF, UHF, VoIP, TETRA, P25, analog and digital). Provide a wireless or cable Internet access to users without any interruption. Uses existing networks to provide voice to users on available extensions. You can also give us a call at 1-855-900-3539 to schedule time with a sales representative.